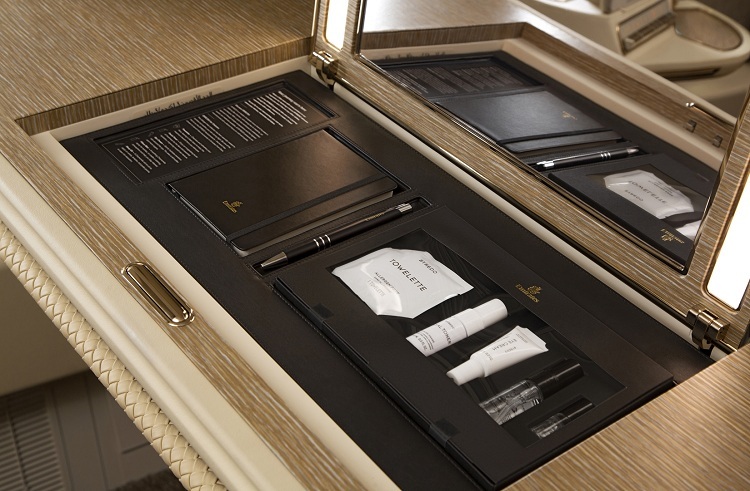 Emirates continues its longstanding partnership with Bulgari for the latest designs of the airline’s exclusive kit bags. 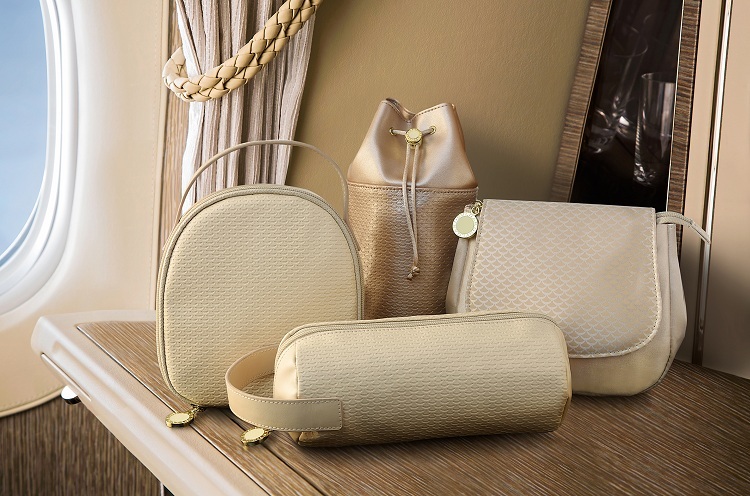 The new set of amenity kits for both First and Business Class feature Bulgari’s fragrance – Eau Parfumée Au ThéVert (Green Tea) – and contain skincare essentials to keep customers feeling fresh and pampered throughout the flight. In Business Class, Emirates is serving exclusive champagnes like the Moët &Chandon Rosé Imperial served on all flights from Dubai later this month. A global on board exclusive, VeuveClicquot Extra Brut Extra Old, will also be available for a limited time on select routes.